Look for this sign at the road to know that we are open for business! We are pleased to offer Farm Fresh Eggs for sale. Our flock consists of 120 laying hens. Our laying hens are cage free and fed top quality feed from Buckley Brothers. 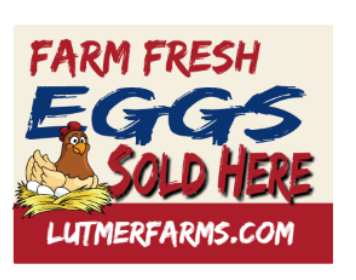 Contact us at info@lutmerfarms.com for more information.